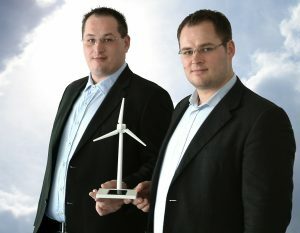 When André and Marco Hurtig founded the WindManShip (WMS) company in 2011, they were able to pool both their diverse expertise and networks within the offshore & maritime business sectors. André’s background is in cable production and offshore installation. He has worked on projects all over the world, installing power and telecommunications cables at all ocean depths. In the offshore wind energy field, Andre was the technical project manager responsible for multiple skilled trades in the construction of a North Sea wind farm. His experience also includes completion of a wind farm’s inter-array network as well as the laying and landfall of a high-voltage export cable. Marco knows the maritime industry from its commercial side. From the small companies to consolidated groups, the business administration graduate takes care of the finance & accounts of shipping and shipping related companies in the offshore wind industry. Anchored in his long-term experience at a firm of accountants & auditors, he has been able to gain deep business insights from a wide variety of companies. For this reason Marco also possesses a comprehensive experience in process management and workflow organisation. Since the founding of WMS, the two brothers have continuously expanded their team and network, whose combined know-how they now offer for the efficient implementation of offshore projects.